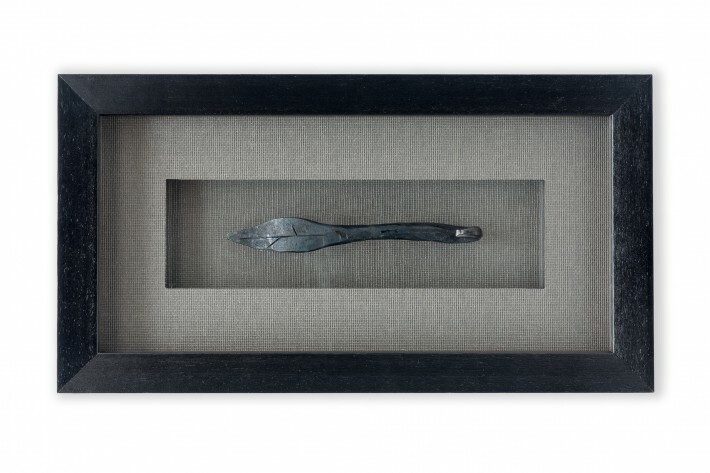 Shadowbox framing example, blacksmith wedge - Panorama Framing, Inc. 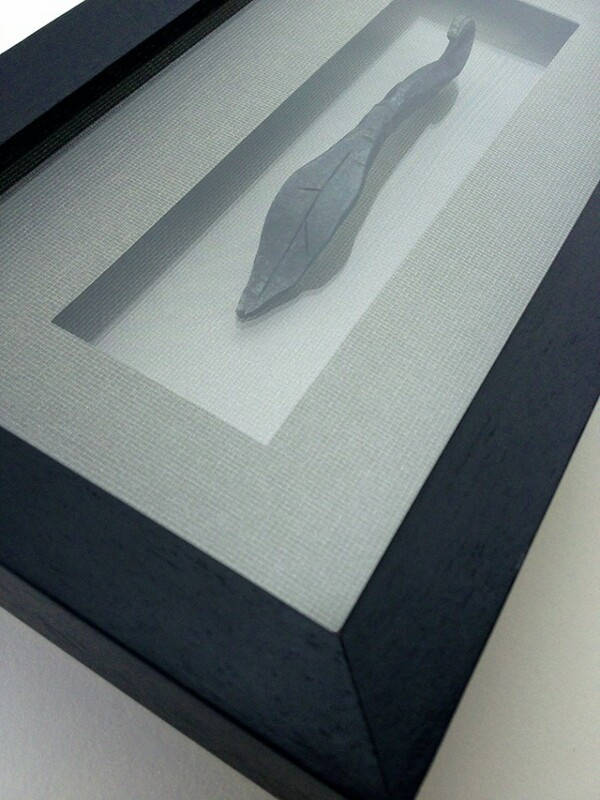 The item has been mounted to glass, floating about 1/8″ above the mat underneath. The top mat with opening floats around the finial, and the inside of the frame has been lined with the same mat. The mat’s a coarse linen with metallic thread throughout. Neat!